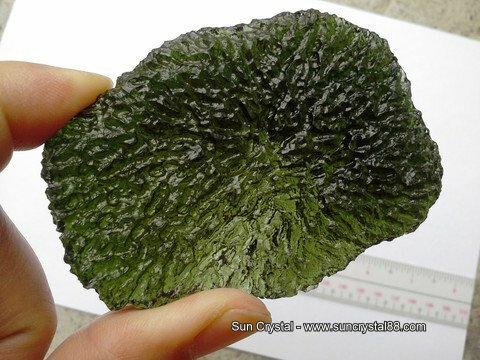 New Fake Moldavite hitting the market form China, more shapes - probably from Molds - notice the wet / shiny melted glass look, this should be a dead Giveaway. 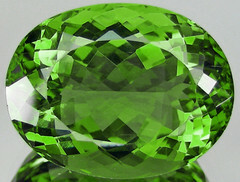 Its easy to tell the difference if you know what you are looking for. 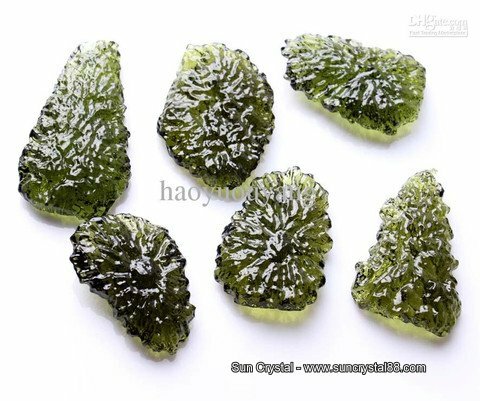 Look at the pieces on this page and then compare with these real Moldavites. 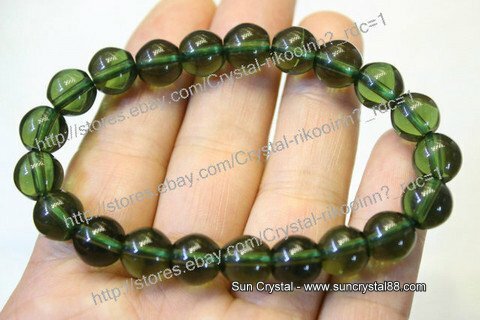 Unfortunately I would recommend to Avoid dealers from China & Thailand online if their products look like the pieces on this page. 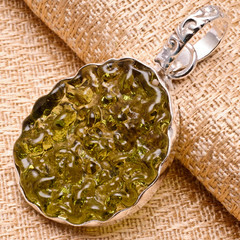 And if its much cheaper than other dealers (though some are now charging top dollar for this fake stuff) Again,This is primarily being seen on sites like ebay & DHgate and even Amazon. 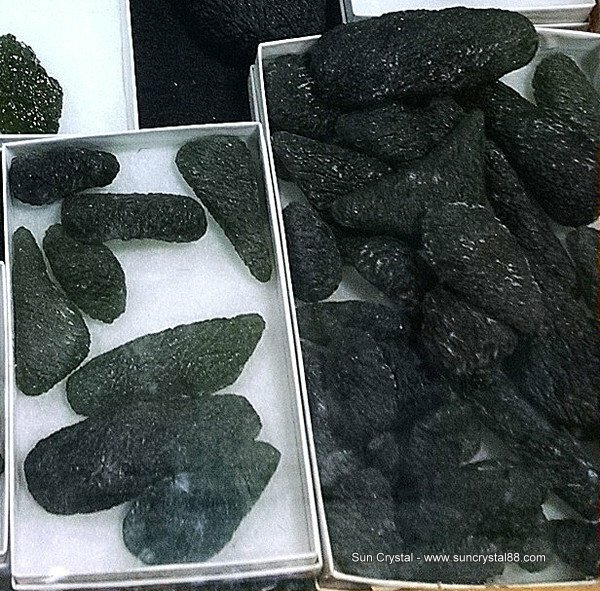 Also saw these at the 2015 NY / NJ Gem show , Rough Looking pieces, but ALL Large and definitely fakes. 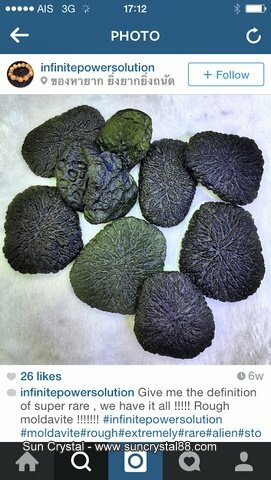 I played with them and couldn't believe what I was seeing, I emailed the dealer later to let him know as I didn't get a chance at the show. All these have theSame Textures / Skins. 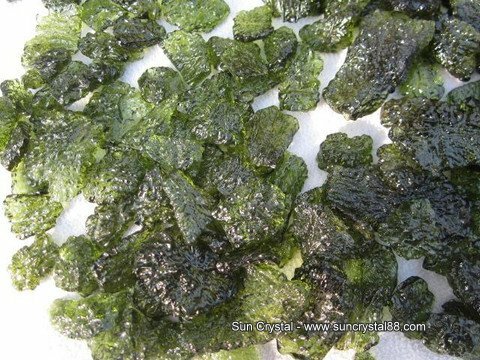 Most likely poured in Molds and then given acid baths or some kind of treatment to appear rough.They all look exactly the same and a few are even the same piece from the same mold! 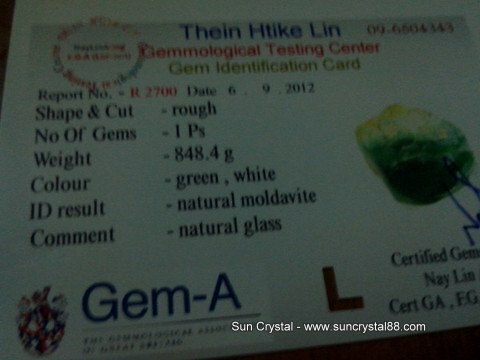 High Quality Fake Facets coming out of Thailand with Certifications! 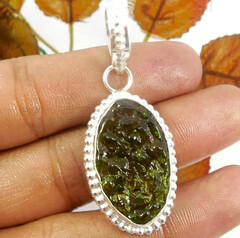 Good Color but virtually flawless with none of the tell tale signs of Moldavite, all though some are starting to use glass material with bubble but the color is way off. 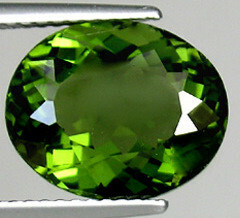 These are all over ebay as well. 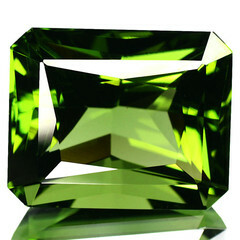 This is why a certificate is really worthless, it all comes down to research and finding a Trusted source. 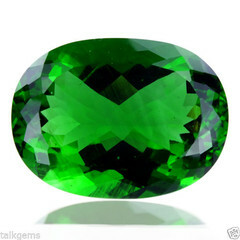 The only certifications I would trust are from the GIA. 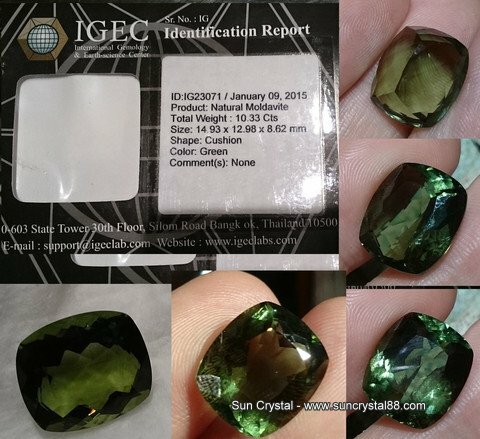 I saw this material in Tucson 2 years ago when a well known Dealer from Thailand tried selling me a couple thousand dollars in large faceted stones. 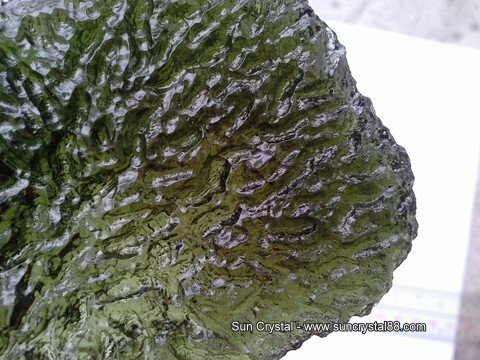 Its NEVER as flawless like these Glass ones & There are usually the tell tale swirls / bubbles / waves of some kind. Please use this page to educate yourself. ***October 22, 2014***Today, I walked up the street to Colgate University and met with the Geology Chairman , William Peck, to use a very cool piece of equipment. 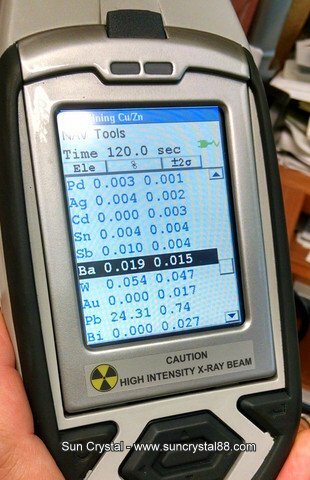 A hand held X-Ray Analyzer. 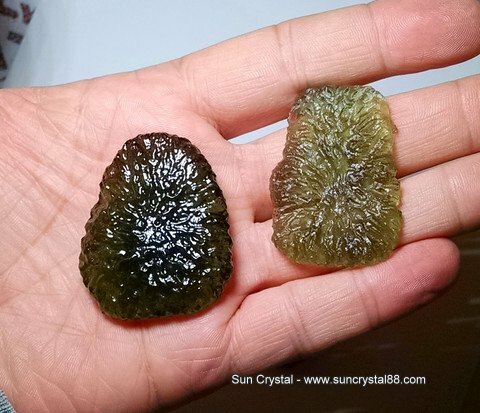 We tested some Real Moldavites and a couple fake pieces from Hong Kong. 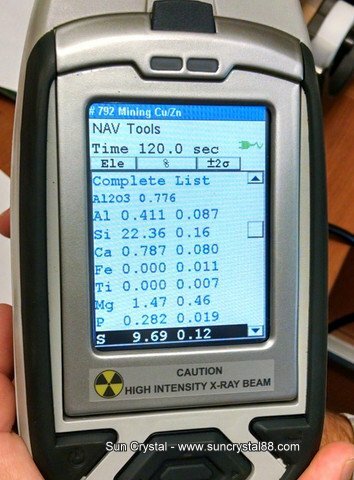 Here are the fakes, the bigger one is the one that goes with the scan pics of the Analyzer. 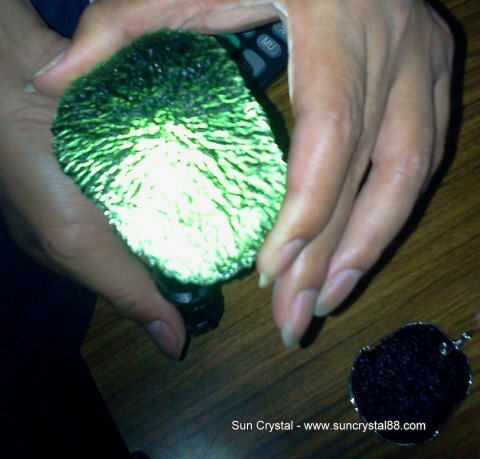 Showing Very high Lead levels (Pb) and Much lower Silicon (Si) and other differences than real Moldavite. 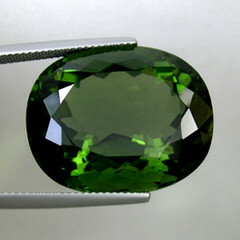 Here is a very good 110 gram fake piece that was sold to a person in the Philippines for $1000 USD. 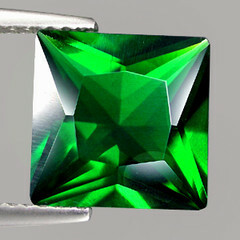 This is a classic example of the material being used in XXL pieces. 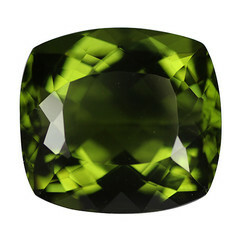 If it were real this would be a $15,000 - $20,000+ piece. 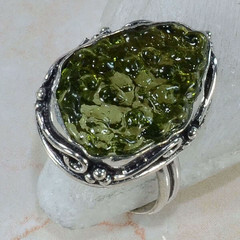 The Color is good, but the wet glass look gives it away almost instantly to those familiar with the stone. 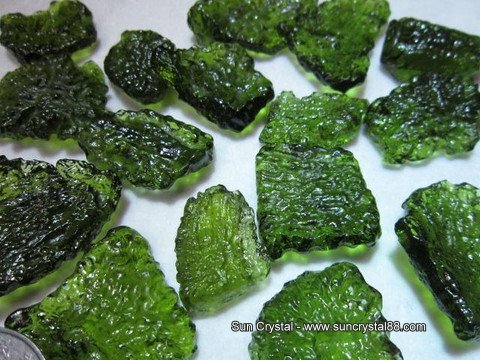 Here is one of the many things I was emailed - an 848 gram piece of green glass someone found, they were of course selling it, with a gem certification stating it was Moldavite. 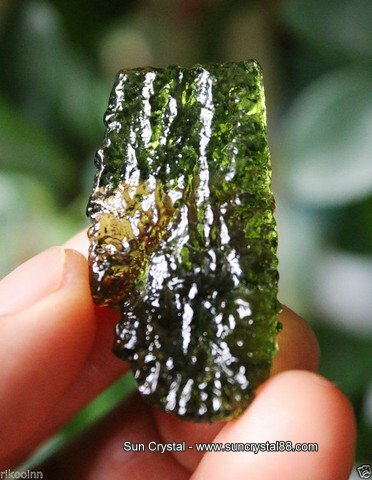 The Largest Moldavite ever found was in the 238 gram range and anything over 50 grams is extremely hard to find on the market as they end up in Private collections pretty fast. 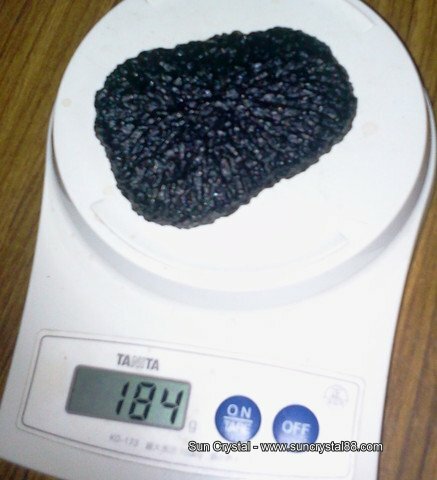 20+ gram are considered "Select" Size, Large. 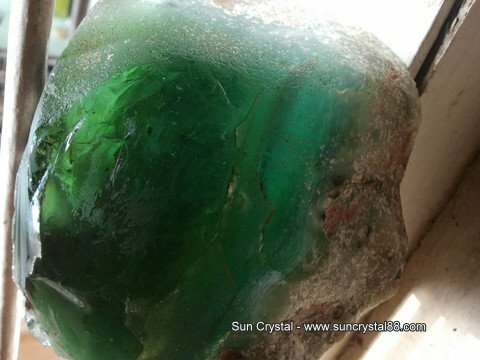 I sold an 85 gram piece a couple months back and that is the largest I have personally held. 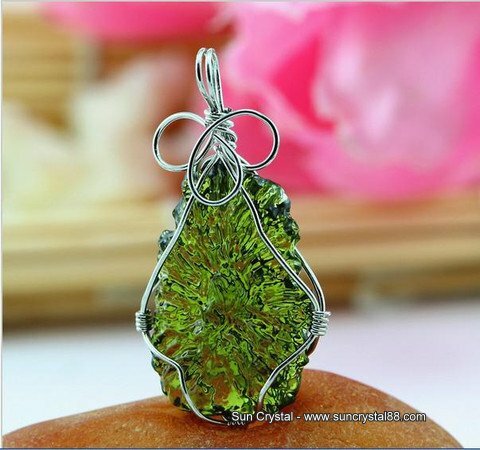 It is important to educate yourself about all crystals and gems you are going to invest your money in, buy only from dealers who have a reputation in the business for having good material direct from the Czech Republic. 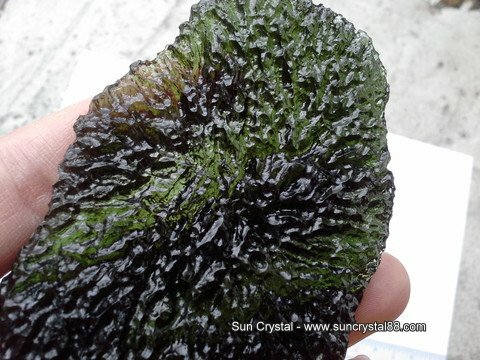 My Source is the biggest in the Czech and I confirmed this 184 gram piece with him as we have been warning people about this for awhile. 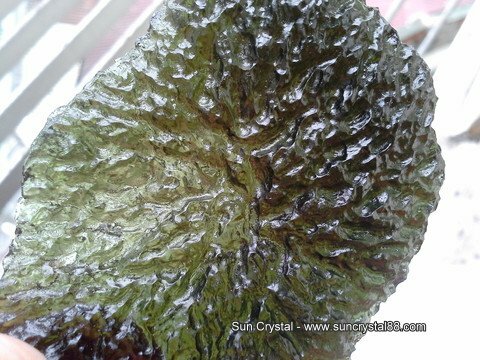 Those hoping to save a a few dollars by ordering from China or dealers on ebay get what they pay for, 99% of the Faceted Moldavite on ebay from Thailand and China is FAKE, Real Moldavite will have bubbles & swirls within it, not like the glass being sold on the market as Moldavite. See pictures below. 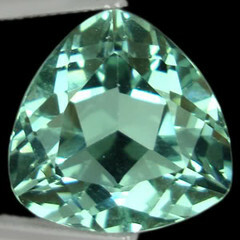 Much of the Rough Fake material is one color, usually flat oval like shapes, may have good texture but do not have the natural veils and bubble inclusions of the real thing. 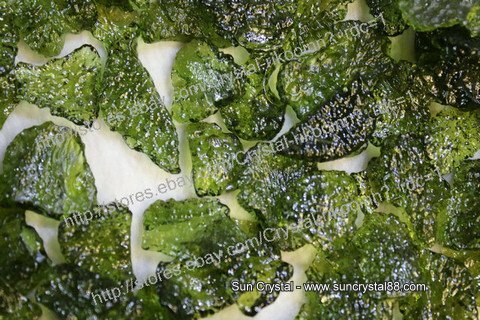 it is also reported to fluorescent under UV or Black Light. 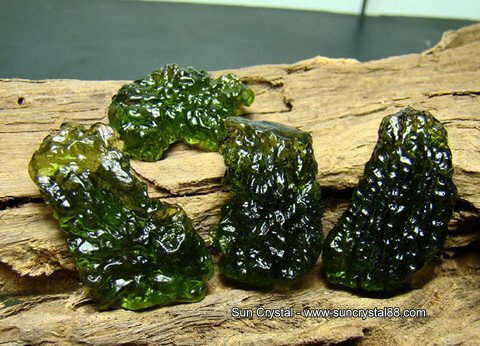 Many also look wet or shiny, like melted glass, very few natual moldavites even look like this, I see a few pieces per kg and the natural ones are from Weathering / Water. 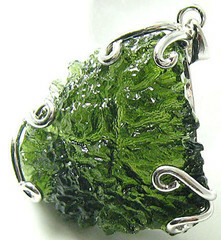 Some are getting pretty good at it too but you can tell if you know what you are looking at.